These luxury artisan chocolates are the result of two producers with a passion for the finest ingredients devising the perfect way to combine them, deliciously, for you. 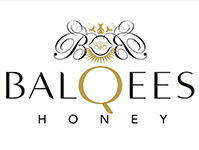 Our Balqees honey, sourced from the pristine rural countryside in remote areas of Yemen. This rare, raw honey, unsullied by commercial bulk honey processes, is packed with nutrients straight from the hive. Balqees’ bees forage naturally for wild flower pollen, such as valleys of Sidr tree blossoms, giving it an incredible depth of flavour. Specialist chocolatiers Cocosia handcraft the finest couverture in small batches. No artificial preservatives or flavours are used just simple, excellent ingredients using the best natural elements in the pursuit of perfection for the palate in chocolate making. Balqees and Cocosia married exquisitely together in this unique selection of handcrafted chocolates, rich in potent superfood enzymes while irresistible in taste and flavour. Elaborate to simple, deliciously different combinations, there’s something to please everyone.